Current Openings - Careers - Ogene Systems (I) Pvt. Ltd.
Salary is not a constraint for right candidate. Qualification for Production people :M.Sc., / B.Sc., with Organic Chemistry as main subject. For the above post an exclusive experience in Bulk Drugs / API’s industry is required. We are looking for experienced hands in the areas of Production, Marketing, and Quality Assurance Department. Qualification for Production people : M.Sc., / B.Sc., with Organic Chemistry as main subject. 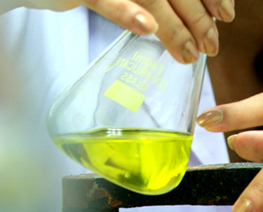 Qualification for Quality Assurance people : M.Sc., / B.Sc., with Organic Chemistry as main subject. For all the above posts an exclusive experience in Bulk Drugs / API’s industry is required. Desired candidate: Ph.D with 15-20 years experience in pharma facility ,in medicinal chemistry,custom synthesis,process development and scale up.